Dimensions 0.50 by 6.50 by 10.25 in. 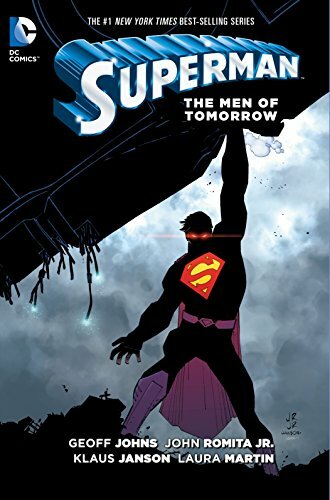 Amazon.com description: Product Description: A new era for SUPERMAN begins as Geoff Johns takes the reigns - and he's joined by the legendary super-talent of John Romita, Jr. in his first-ever work for DC Comics! Enter Ulysses, the Man of Tomorrow, into the Man of Steel's life. This strange visitor shares many of Kal-El's experiences, including having been rocketed from a world with no future. New and exciting mysteries and adventures await.Â Plus, Perry White offers Clark a chance to return to The Daily Planet! About: A new era for SUPERMAN begins as Geoff Johns takes the reigns - and he's joined by the legendary super-talent of John Romita, Jr.